Interest rates on 95% mortgages are tumbling in price as lenders battle to offer the best deals to first-time buyers with small deposits. Data from Moneyfacts shows the average rate on a 95% mortgage has dropped by more than half a percent in the past six months, meaning first-time buyers could secure a better deal than before. Here, we explain the effect of greater competition on the cost of mortgages, and offer advice on the options available to buyers with small deposits. If you’re looking to buy your first home, you can get impartial, expert guidance on your mortgage options by calling Which? Mortgage Advisers on 0800 197 8461. The average rate on a 95% fixed-rate mortgage has dropped by 0.54% in the past six months, falling from 3.95% to 3.41%, according to figures from Moneyfacts. The table below shows how this significant drop is an outlier in a market where mortgage rates at other loan-to-value (LTV) ratios have moved very little. Why are low-deposit mortgage rates dropping? Before 2018, 95% mortgages were neglected by some of the biggest lenders, who were focusing their attention on homebuyers with bigger deposits. Last year, however, competition for small-deposit buyers increased significantly – and the trend looks to be continuing into 2019. In January alone, the number of 95% mortgages on the market increased from 298 to 325. Find out more: discover how to buy a home with a 5% deposit in our guide on 95% mortgages. Average rates on 95% mortgages may be dropping, but what about the lowest introductory rates? The table below shows the cheapest initial rates available right now on two and five-year fixes. Source: Moneyfacts, 11 January 2019. *APRC means the average rate that would be paid over the full mortgage term. As you can see, the lowest rates above are available from building societies, though there are some major banks lurking not far behind. If you choose to borrow from a smaller building society, it’s especially important to remortgage at the end of your fixed term, as in many cases building societies have revert rates (also known as standard variable rates) which are considerably higher than many of the larger banks. In the past, it was the norm to take out a mortgage with a 25-year term (the period over which you pay the loan back). However, with house prices having risen so much faster than wages over recent years, buyers with small deposits are increasingly opting for terms of 30 or 35 years, and in some cases even longer. While most banks offer maximum limits (theoretically at least) of 35 or 40 years, some of the smaller building societies impose maximum terms of 25 years on their first-time buyer deals. Some of the cheapest first-time buyer mortgages have rules on the minimum or maximum loan size. For example, the Loughborough deal in the table above only accepts applications up to a maximum loan of £350,000. While this would be an ample amount in most parts of the UK, it might not be enough if you’re buying a home in London. Find out more: how much mortgage can you borrow? Should you save for longer? In recent times, the gap in cost between 90% and 95% mortgages has narrowed, but it’s still possible to find lower rates if you’re able to save a little longer and build up a bigger deposit. Right now, the average rate on a 90% deal (2.69%) remains around 0.7% cheaper than a 95% product (3.41%) – a gap that potentially offers big savings in the long run. If you’ve got your heart set on buying a property now, there are some popular schemes that could work as alternatives to a traditional 95% mortgage. 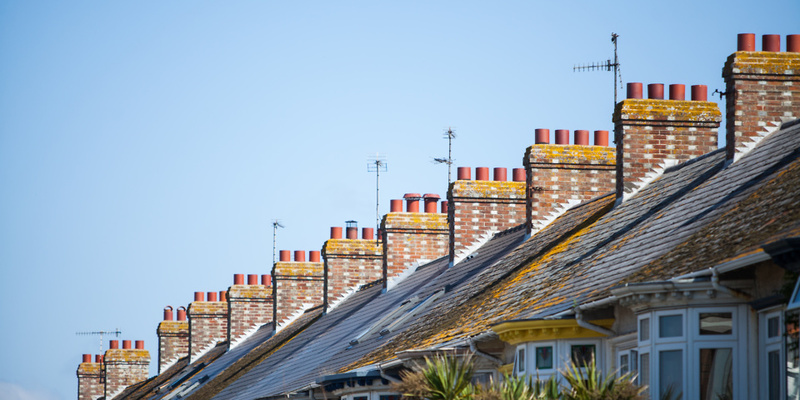 The Help to Buy scheme allows borrowers in England and Wales to benefit from a 20% equity loan from the government when buying a new-build home. In Scotland it’s 15% and in London, where house prices are higher than the rest of England, it’s 40%. This means you can use a 5% deposit and get a mortgage for the remaining amount, potentially opening up the prospect of lower rates. While Help to Buy has been incredibly popular – it’s been used by more than 180,000 people in England so far – it has faced some criticism around its effect on inflating the cost of new-build properties, and some homeowners have had issues when remortgaging with an outstanding equity loan. Shared ownership schemes allow you to buy a share of a property from a housing association and pay rent on the rest. For example, you could buy 25% of a £400,000 property for £100,000. You’ll use a 5% deposit, take out a mortgage of £95,000 for your share and pay rent on the remaining 75%. There’s also the opportunity to buy extra chunks in the future, a process known as ‘staircasing’. A word of warning, however. These schemes can become very expensive when you factor-in the combination of mortgage payments, rent costs and service charges, and some developments require you to buy a higher ‘minimum’ share, sometimes up to 50%. Find out more: weigh up the pros and cons with our guide on shared ownership. If you’re considering buying your first home, it can be useful to speak to a whole-of-market mortgage broker, who can advise you on schemes that could help and assess all of the deals on the market to find the right one for you. For a free chat with an expert, call Which? Mortgage Advisers on 0800 197 8461 or fill in the form below for a free callback.